The Mineral Matron + is the perfect mineral feeding and fly control solution for cattle owners. Easy to transport from field to field with plenty of storage for extra mineral, fly bullets and fly treatment. 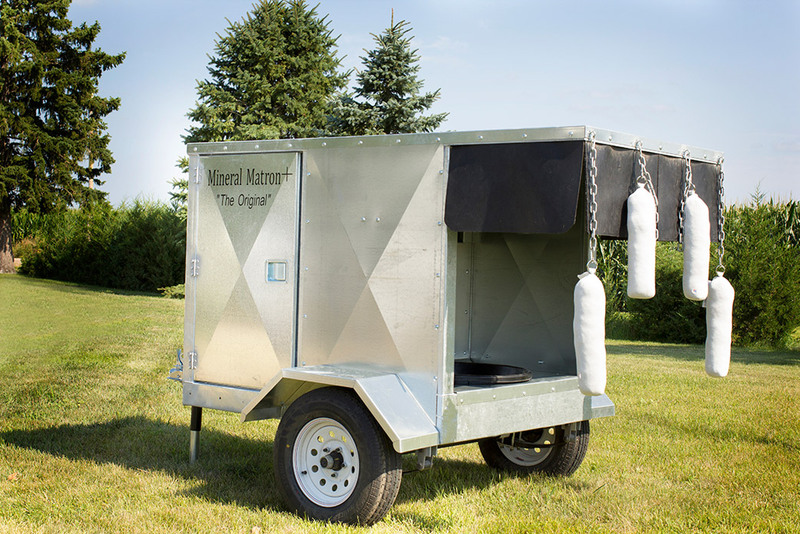 The Mineral Matron + is constructed to last utilizing all galvanized construction.